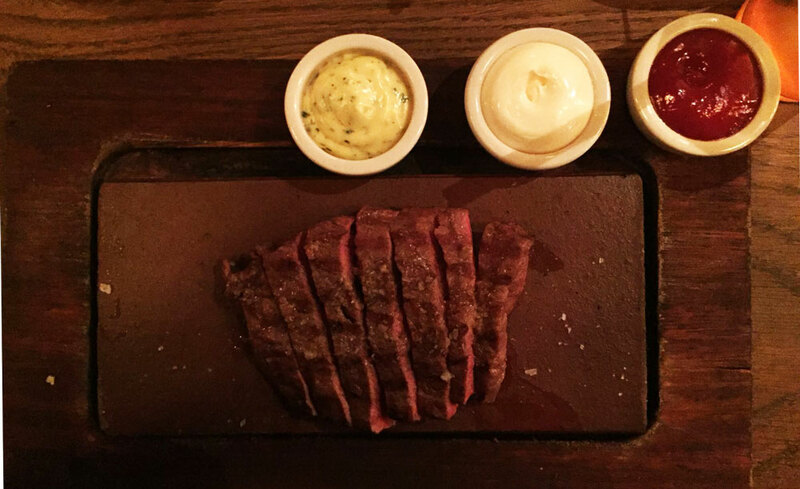 One of our favourite restaurants in London, Flat Iron provides the best value steak in the Capital at only £10, which includes a little green salad, what a bargain! 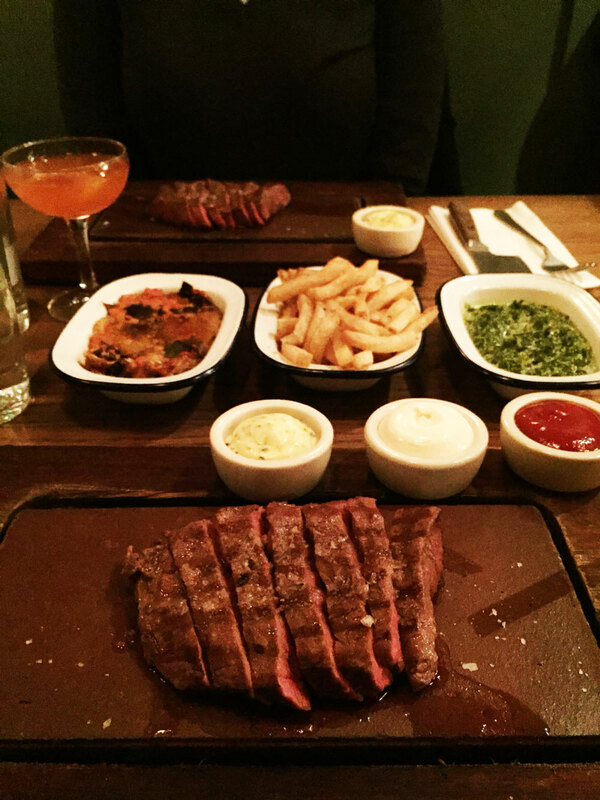 If you’re on a budget or just in need of a steak then Flat Iron is the perfect restaurant for you. Originally starting as a pop-up in Shoreditch, Flat Iron opened a permanent restaurant in Soho and now there are a few branches around London, we visited the Covent Garden restaurant. Flat Iron is always busy and as you can’t book you may have to wait a little. But trust us, it’s worth the wait. Give them your number, head to a bar nearby and they’ll text you when your table is ready. In Covent Garden, All Bar One is next door, but let’s be honest, it’s a bit dismal. We recommend, The Lamb and Flag, Porterhouse or Adventure Bar to kill some time. They may say the wait will be an hour or more but be warned; we received a text after 15 minutes when we’ve just got our drinks at the pub so be prepared to down them. The interior of the restaurant is dark with a soft glow from the lamps on exposed brickwork and metal, helping to make the lively atmosphere a bit more ambient. 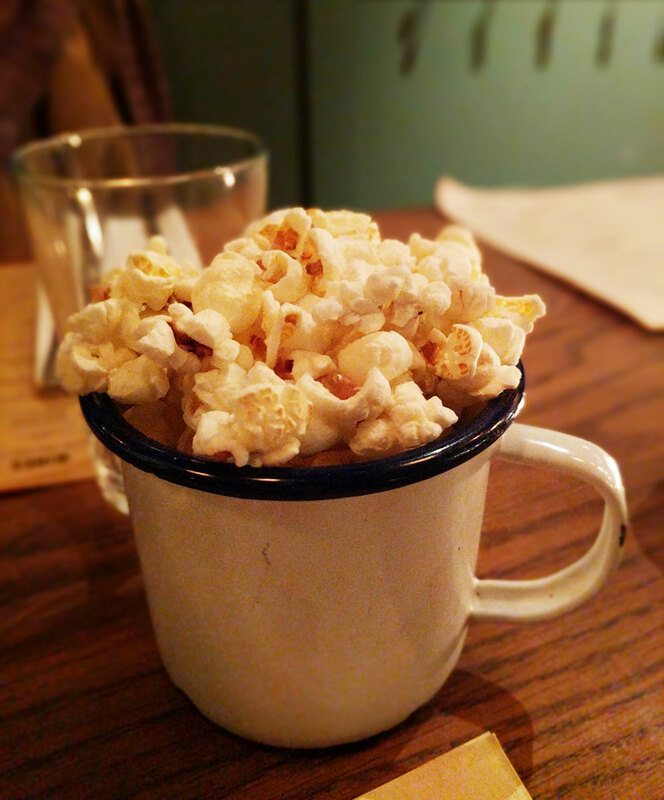 On being seated they bring some deliciously salty popcorn, popped using beef dripping (are you drooling, because we are), giving it a very slight meaty taste which is a nice touch to stave off the hunger before the main event. You also notice the knives are mini cleavers and tempting to pocket but the menu reminds you they can be purchased for only £20/each. The menu is simple; flat Iron steak, a few daily steak specials on the board including a burger and there are a selection of sides. The flat iron steak is delicious and cooked well, not massive but for the price who’s complaining? The burger here is also incredible, it melts in the mouth and is covered in lashings of bearnaise sauce. I would advise getting a chips each; cooked in beef dripping they are like crack, incredibly moreish. Other sides we recommended are the roast aubergine and the creamed spinach. Flat Iron stock a small selection of craft beers. wine and cocktails for a fiver, the Plum & Aperol spritz is a winner. At around £20 per head for a delicious steak dinner you can’t wrong, high quality steak at a rock bottom price. 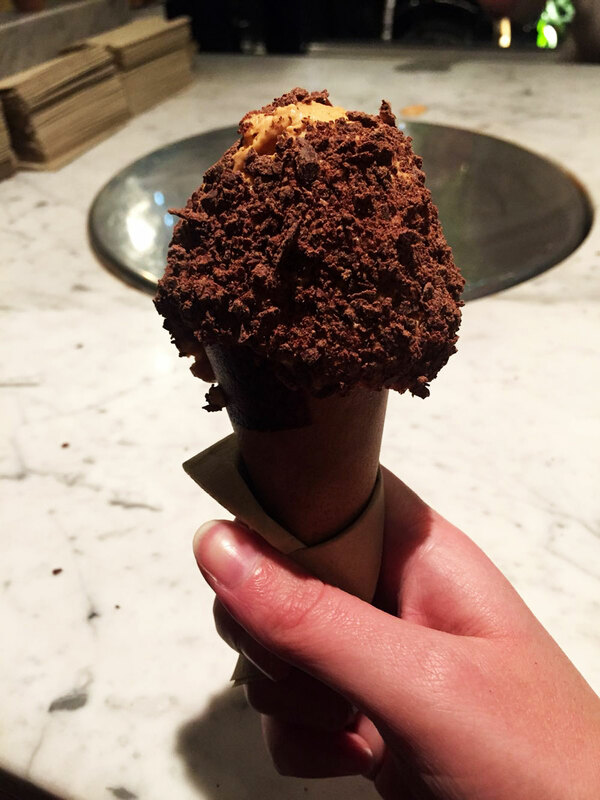 What’s more, at the Covent Garden branch you will receive a free salted caramel ice-cream at the end of the meal. Central London should have more restaurants like Flat Iron! 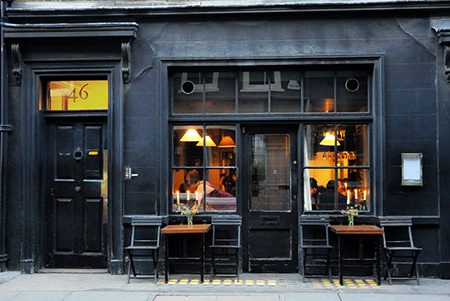 It’s rare to find somewhere that is such excellent value in the West End, especially for steak. 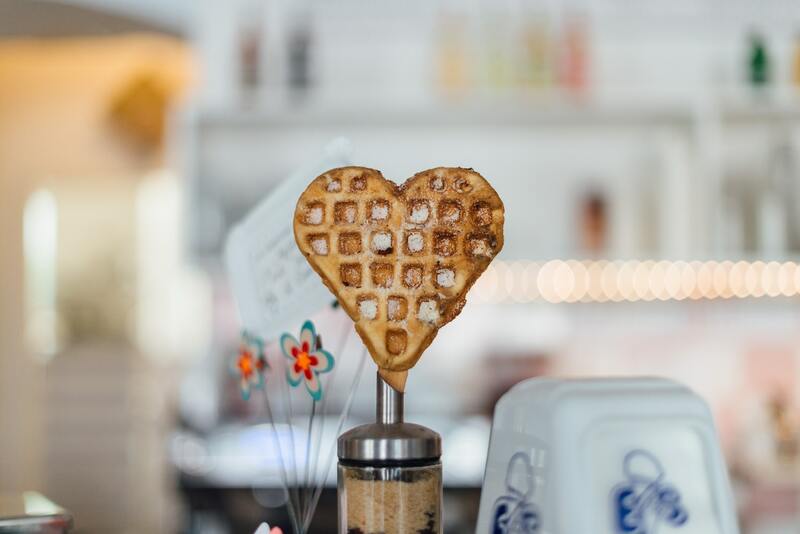 Flat Iron also have locations in Soho, Tottenham Court Road and Shoreditch but you don’t get the free ice-cream at the end.